A collection of recipes influenced by the confluence! Take a journey back into time with your tastebuds from the late 18th century to present day! Enjoy images of Harpers Ferry past, colorful quotes, and amusing anecdotes. 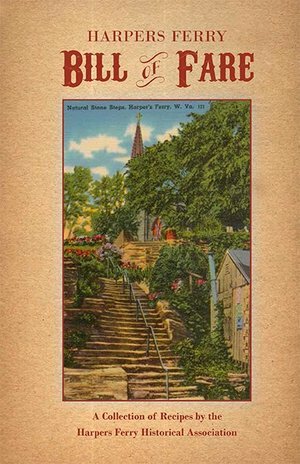 Filled with both historical and modern recipes, Harpers Ferry Bill of Fare will satisfy any appetite for food or nostalgia. Spiral bound, paperback 92 pages.